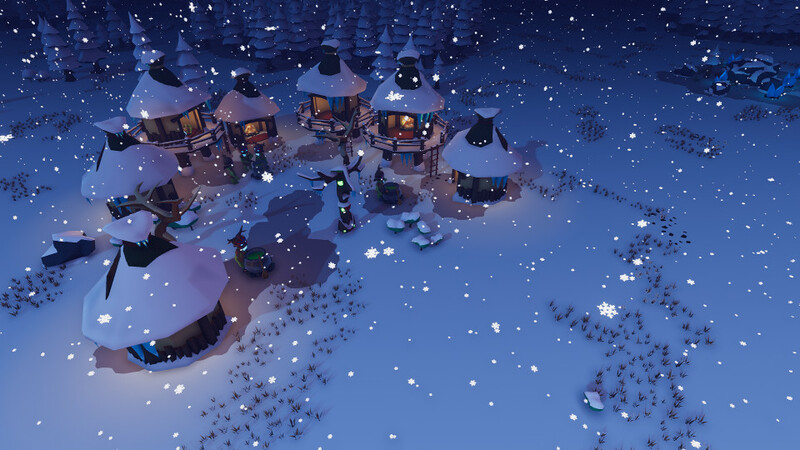 Craft tools, build a home and protect your people. 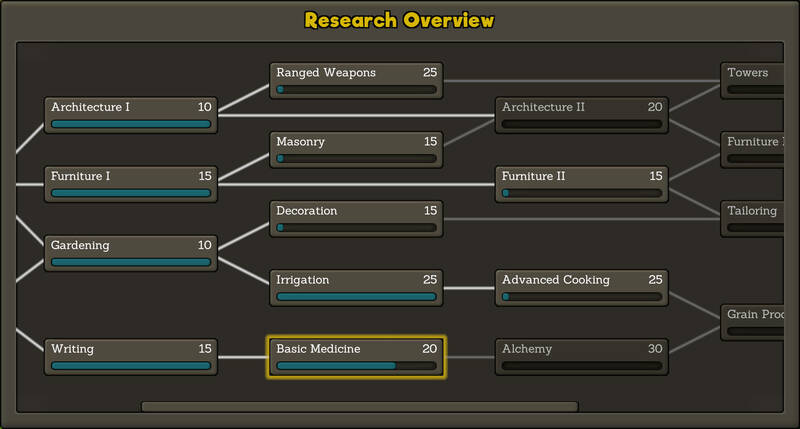 The colonists are your top priority. At first, you simply need to provide them with food and shelter. But the world is full of dangers! An infection might prove fatal to the strongest warrior and a plague can wipe out your colony entirely. Each colonist reacts to events, happy or sad, and reflects that in their behavior. Happy colonists will receive a boost to their productivity – Unhappy colonists might throw a temper tantrum. When your colonists arrive, they have nothing but the clothes on their body. You take control and tell them to gather materials and build walls, floors and furniture. You are not limited to predefined buildings! Design your own houses and style them to your liking. 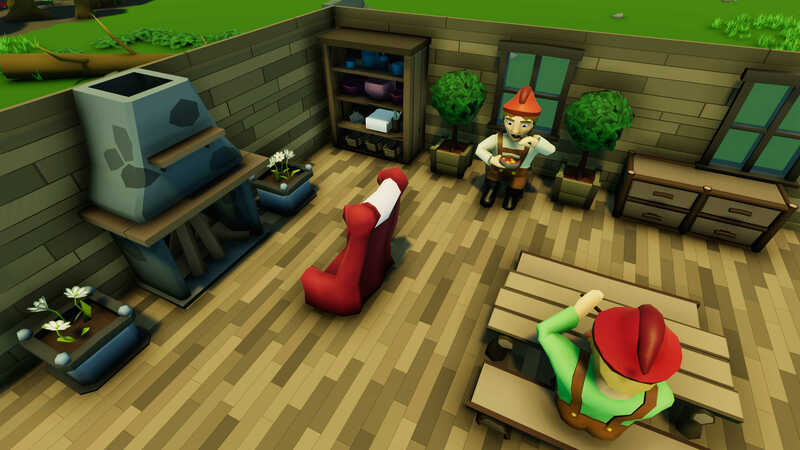 There are dozens of construction and furniture elements that you can use to create the settlement you’ve always dreamed of! No one likes to sleep on the rough floor in an empty shack. While the colonists work hard to improve their situation, they will lose quickly lose their motivation if you ignore their requests. Keep them happy by selecting only the most comfortable chairs and the most elegant shelves. 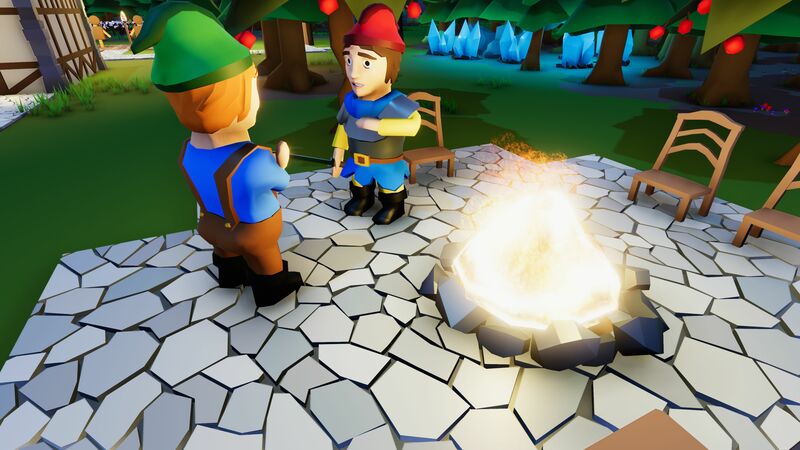 When you can afford such luxury, you not only win the colonists’ hearts, but also convice newcomers to join your settlement. In an ideal life, all your wishes come true, at least that’s what Toni thinks. Fulfilled wishes can cause a citizen to have good mood, while hunger, injuries, boring conversations, or even nightmares will make him feel bad. If you ignore the needs and wishes of your colonists for too long, one of them might have a breakdown and throw a trantrum. Food matters. Good food makes colonists happy, wrong food makes colonists sick, little food makes colonists slow, and no food makes colonists die. 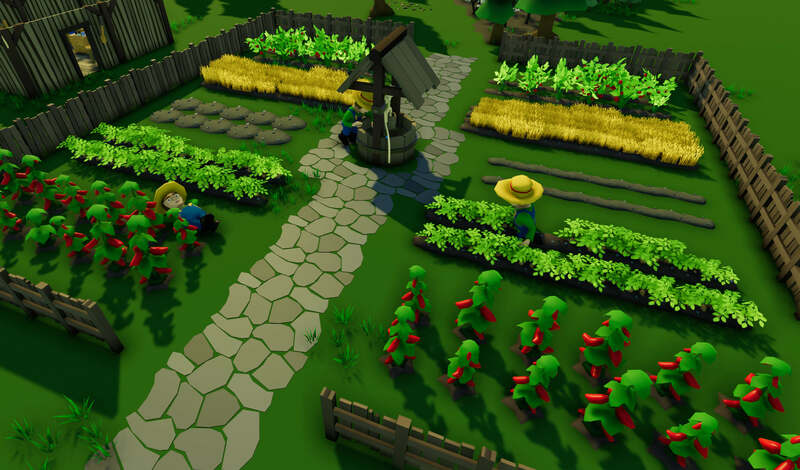 Grow a variety of seasonal crops and set up a kitchen to make delicious meals out of them. Be sure to stock up before winter hits and act quick when a swarm of hungry bugs descends upon your fields! Building your home is a long process and resources and manpower are not the only things you need. 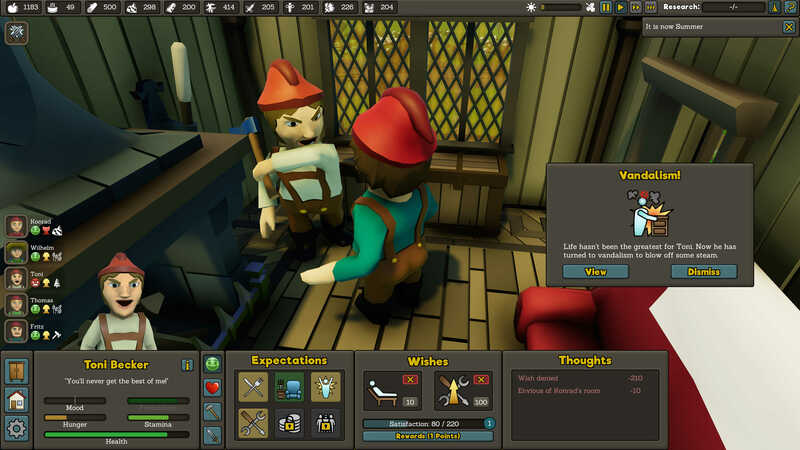 Smart Settlers dedicate a lot of time to research new technologies, thereby unlocking better equipment, new furniture and construction elements. Select scholars carefully – if their personality doesn’t fit this type of work, they are not going to make a lot of progress. Use the time you have and make sure you have enough food stored away, because winter is coming. Let’s hope you won’t have to restrict meals to half rations – because that will make your colonists weak. When supplies dwindle and the freezing cold wind howls outside, it’s easy to lose hope. You are not alone in this new land you call ‘home’. The Tikigoblins living there are not all that happy about your settling efforts and might pay you a visit to try to get you to stop. 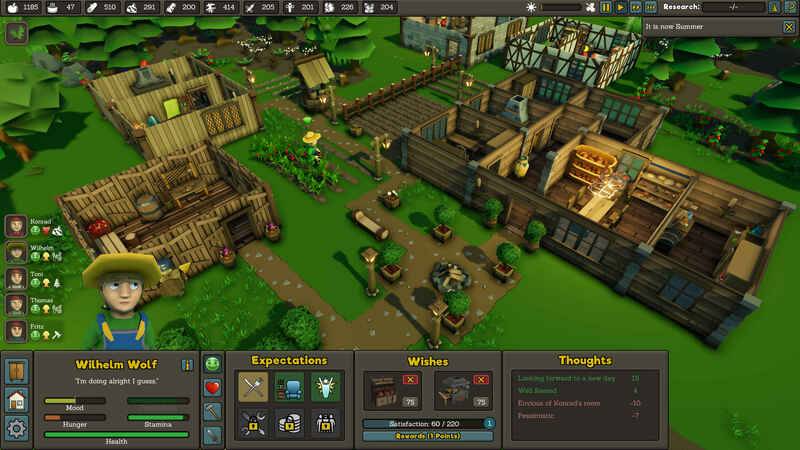 Train your colonists in the art of warfare and equip them with the best weapons and armor you have. 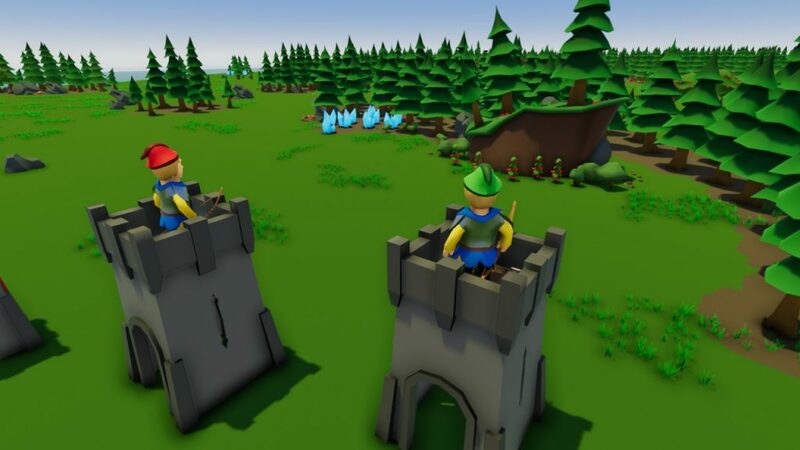 Build walls and towers to ensure the security of your colony – that way, your enemies will have a difficult time trying to mess with you!